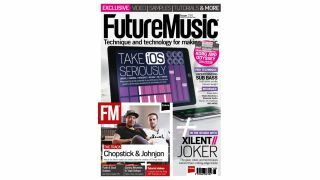 Possibly more so than any other area of music technology, iOS music making is moving forward at an alarmingly fast pace. Even since FM last tackled the subject back in 2013, things have come on in leaps and bounds, both in terms of the power of the hardware and the quality of apps available. While, undoubtedly, there was a time when the idea of making music using an iPhone or iPad was little more than a novelty, those little devices are now capable of numerous studio applications - from creating sounds to sequencing synths, controlling your DAW and beyond. In this month's cover feature, we'll run through the ways you can incorporate an iOS device into your workflow, and show you all the apps and accessories you need to know about. Funk & Soul Guitars - Unleash your inner Nile Rogers with this pack full of Disco-ready riffs and funky licks. Spring Reverbs & Tape Delays - Get plenty of classic space effects with this Dub-friendly pack. Robot Machine - The machines have risen and they're coming for your studio. Add some robotic funk today!